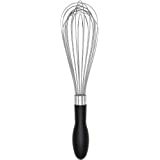 Save time and effort in the kitchen with this Essentials Whisk with Sphere and Encased Ball. 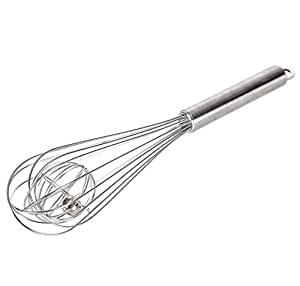 Whisk, stir or combine your ingredients faster and with smoother results every time. The internal sphere and ball creates better aeration compared with other style tools, meaning increased efficiency. 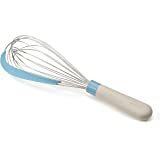 The stainless steel construction keeps this 26cm whisk lightweight and durable. A valuable, always-useful addition to any kitchen! Have used it to make hollandaise and scrambled eggs with much success. The inner ball does make it heavier and more tiring to use, but it also seems to do a good job of ensuring that everything gets mixed thoroughly and doesn't splash about, so I'd say it's well worth using. It's easy to slip the ball part in and out if I ever want to use it without.